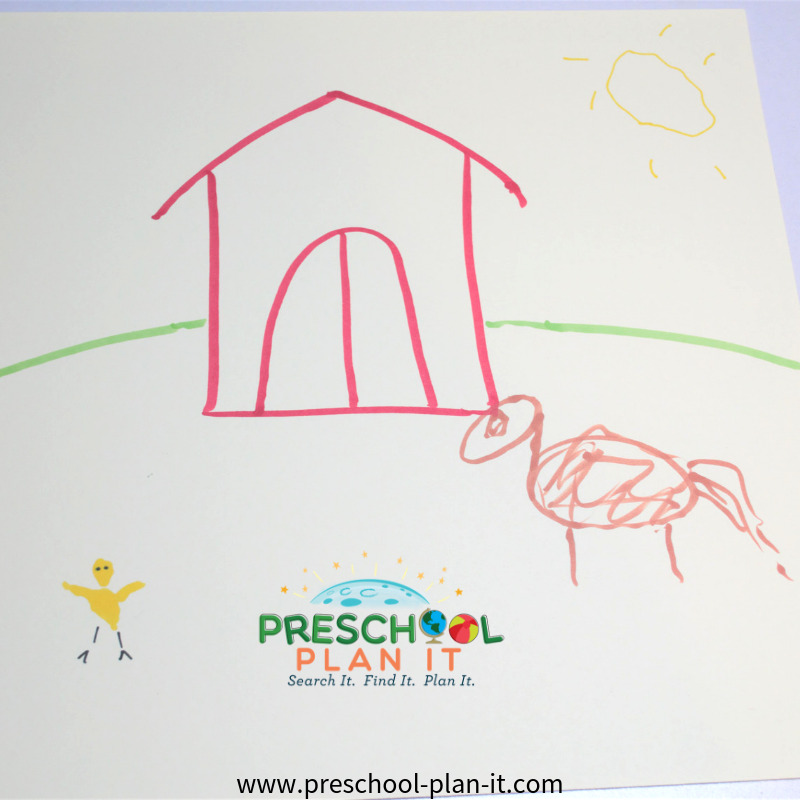 A Farm Theme includes Old MacDonald, and your preschoolers will want to learn all about it! 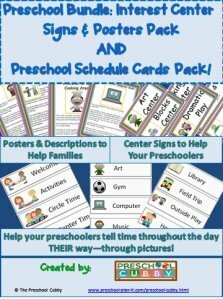 This Farm Theme page is filled with preschool lesson plans, activities and ideas for all of the interest learning centers in your preschool classroom. Let the Farm Theme Planning Begin! 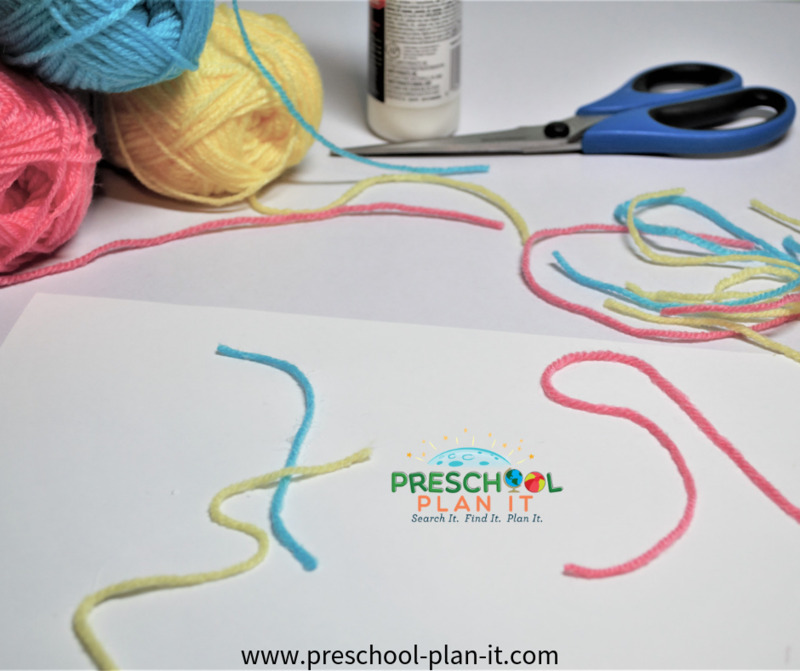 Provide different colors and lengths of yarn. Explain that wool yarn is made from sheep's fur! They can make some great collages by gluing the yarn on paper. Have the children dip chalk into buttermilk and then draw on paper. This makes a great effect! Materials: Black paper, cotton balls, googly eyes Cool looking sheep! Roll corn on the cob onto paint in shallow trays and then roll onto paper. Thank you Barb from Gilbert, AZ for this idea! Use pink construction paper. Have children cut out a circle for the head, an oval for the body, rectangles for the legs and triangles for the ears. You can pre-cut as much as needed for different age levels. When complete, take a waded up paper towel and lightly dip in brown paint and make the pigs "dirty". Great to review shapes,cutting and following directions. Add tractors and small, plastic farm theme animals to the block area during this theme! In advance, cut out a large piece of paper to fit in the middle of the circle area. Draw a large barn on it. Discuss farm life. Give the children markers so that they can add to the scene during the discussion! EXTENSION: Make animals and foods into flannel board pieces. Give one to each child and they place them on the board as you say the poem. Talk to the children about scarecrows and why the are at farms. Bring in old pants and a shirt and lots of hay (if no allergies) or newspaper to crumple and stuff into the scarecrow! Ingredients and Items needed: Any items you want to make the salad, vegetable peelers, plastic knives. Have the children help you rinse the food and then cut and prepare a salad for snack! Ingredients and Items Needed: Send a note home asking each parent to send in one vegetable to make a Friendship Soup! The children help clean, peel and prepare the vegetable. Place all the items in a saucepan with water and some vegetable stock for flavor. Boil for about 45 minutes, enjoy! Ingredients needed: 2 cups white flour, 1 cup wheat flour, 1 package Fleischman's Rapid Rise yeast, 3 tablespoons of sugar, 3 tablespoons nonfat dry milk, 1 teaspoon of salt, 1 cup hot water, 3 tablespoons of oil, 1 gallon heavy duty freezer bag, bread loaf pan, 9 X 13 inch pan, cookie sheet, towel to cover bread. In the freezer bag, have the children help to measure in 1 cup of white flour, the yeast, the dry milk and the salt. Force air from the bag and seal. Have the children shake to mix the ingredients. Have the children help to add the whole wheat flour. Reseal the bag and let the children help to squish and mix. Gradually add enough remaining white flour to make a stiff dough that pulls away from the bag. Flour a surface and knead dough until it is smooth and elastic. cover the dough with a towel and let sit for 10 minutes. Measure to show where it is. In 10 minutes, show the children that it has risen some! Roll the dough out to approximately 12 X 7 inch rectangle. Roll the dough up from the narrow end. Pinch the edges and ends to seal the bread. Place bread in oiled loaf pan. Show the children how high the bread is. The rest of the instructions should be done by an adult only, not near the children due to the boiling water. Fill a 9 X 13 inch pan with boiling water. Place a cookie sheet on top of the 9 X 13 inch pan and place the loaf pan on the cookie sheet. Cover with the towel. Let dough rise 20 minutes or until it has doubled in sized. Show children how high it is now! Bake at 375 F for about 25 minutes. Turn your dramatic play area into a stand by providing shopping baskets, plastic fruits and vegetables, a cash register and play money, grocery bags, paper, pencils (for shopping lists), etc. Paint a barn! Hang barn pictures around your easel for your children to see. Encourage them to paint their own barns! Materials: Bean bags and different items to toss the bean bags into! Try using a metal pail (like a milking pail), a pile of hay (like a chicken nest), etc. Who's Making That Mess? (Lift the Flap)by Jenny Tyler and Philip Hawthorn--GREAT Flip the Flap Book! Most of these books may be available at your local library. You can also purchase them by clicking on the titles. Do not limit yourself to the titles I have listed! 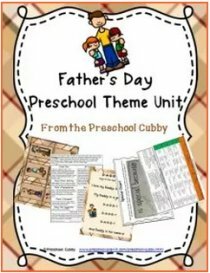 There are so many books to use in a farm theme that will support your preschool lesson plans in your preschool classroom! Farm Theme activities to help your Preschoolers develop math skills and those small muscles in their hands! Place seeds in a sealed jar. Leave the jar in your math area with a chart that reads "How Many?". 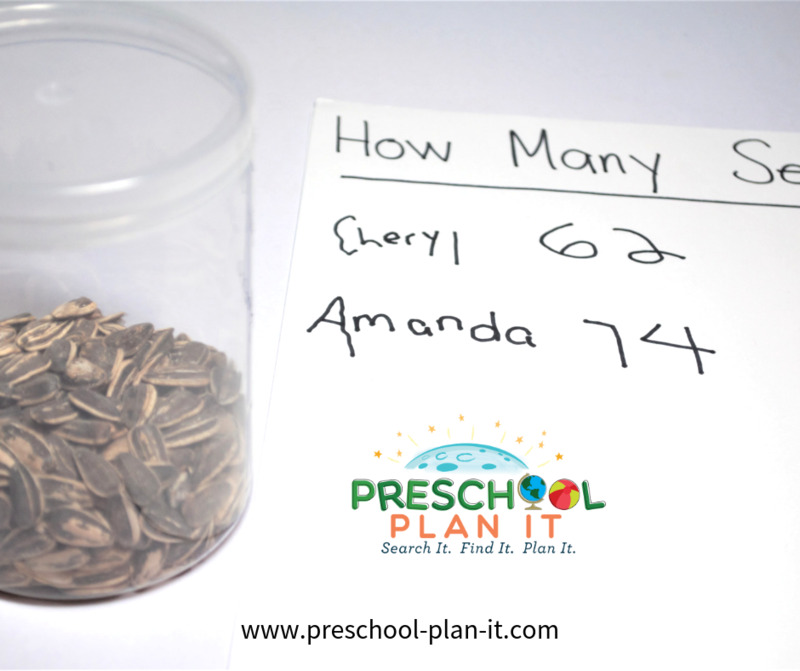 Encourage the children to guess by looking (not taking the seeds out), how many seeds are in the jar. They should print their name and the number of their guess on the chart. After a day or so, bring the jar to circle with the chart and have the children help you count out the seeds. Place different fruits and vegetables at the manipulatives table for the children to explore. Provide large trays (such as cookie sheets) and tape measures and rulers. Show the children how to use them. Let them explore the fruits and vegetables and encourage them to measure and to sort them by color, size, etc. EXTENSION: Add a scale for the children to weigh the fruits and vegetables and discuss the results. EXTENSION: Cut open the fruits and vegetables after they have had a few days to explore the outsides. Now they can check out the insides as well! 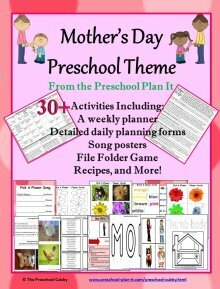 Farm Theme Music and Movement Activities and Ideas to get your Preschoolers Movin' and Groovin'! Have the children use their bodies to imitate a fruit. They can pretend to be grapes, eggs hatching, etc. Take me out to the barnyard. Take me out there right now. How me the cows, pigs and horses, too. I hear an oink and a neigh and a moo. There are chickens laying their eggs. If they don't lay eggs it's a shame. And I'm glad I came! then there were 4 cows all black and white. Cleanest pigs you've ever seen! And landed with a great, big THUD! Then there were nine clean squeaky pigs. Then there were four white fluffy sheep. Sing this classic song with the children. 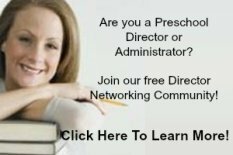 Have them act out the animal you sing about and encourage them to make that animal sound! Farm Activities for the Senses! Materials: Potting soil and seeds and spray bottles. The children plant seeds and mix it up and water it! Add dry beans of different types to the table. 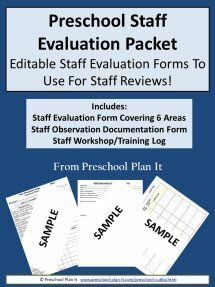 Provide water wheels, spoons, cups and other measuring Items. Place plastic ducks of different sizes to float and count in the water. Farm Theme Science Activities--for your Preschool Scientists in Training! Plant a few seedlings with the children. Leave the plants in the science center with rulers and markers. The children should each have their own paper at the table with their name on it. Each day they should measure the plant and then draw it's growth on their paper. You could also measure and list the height on a chart that stays on the wall behind the plant. Provide wool yarn, wool fabric, candles mad with lanolin and some film (if you can find it!) along with magnifiers for the children to check out different products that come from sheep! 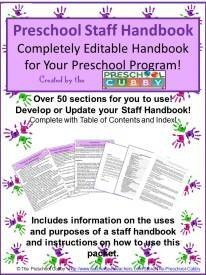 Writing Activity Ideas for Your Preschool Classroom's Farm Theme! Materials Needed: Farm stamps, stamp pads, markers and paper. Encourage the children to draw ponds, clouds, a barn, etc. and use the stamps to complete their scene. Write down their barnyard stories! 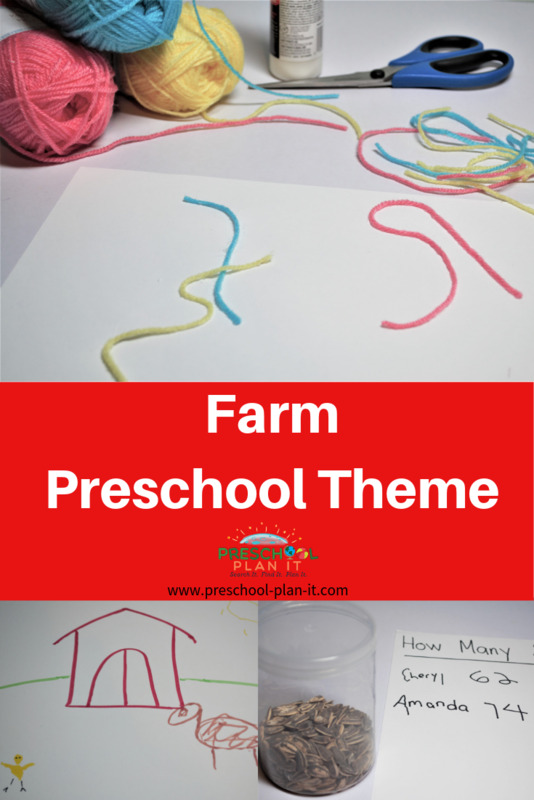 Miscellaneous Activities for Your Preschool Classroom's Farm Theme! The produce department of the local grocery store to shop for specific items. You could call ahead to see if the produce manager could give you and your children a tour and talk about where they get some of their items. Or, you could go with the children and have each of the responsible to find and carry ONE item to the check out with you.